How light and bright can our spirits be? QUITE humbly and respectfully, I personally believe the Buddha’s teachings were so much about taking loving and selfless ownership of a genuinely healthful way of life…learning to better and better gather a deep, benevolent, and altruistic true appreciation of the miracle of the moment. This is quite consistent with learning to better and better play the part of the unblemished Witness to one’s internal and external environments. It is congruent with endeavoring to do the right thing for the right sake, without the need for (and weight of) selfish recognition or hidden agendas…once again True Appreciation. It is much about displaying oneself with dignity, decency, goodness, and grace – and figuring out how to TRULY mean it, no matter what. It is realization that we are all much more in the same common boat than we often think and act…AND recognition of the import of lovingly supporting others in their healthful goals. 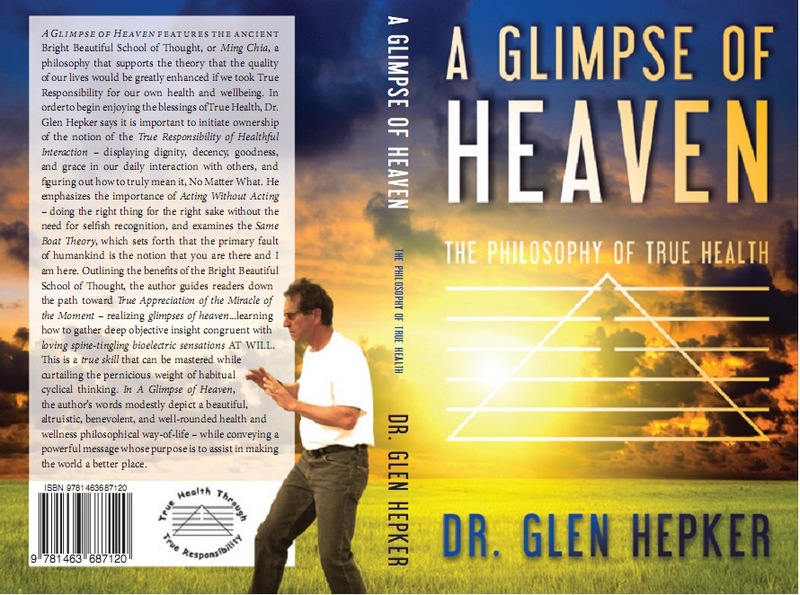 If there is a Heaven, a ‘key to the universe,’ even a ‘sixth sense,’ they are rooted in true honesty, promoting of true happiness and true freedom – but most importantly, needing less and less to hide behind. It is learning to lovingly embrace a ‘being’ (a mien/spirit) in which fear becomes less and less an issue (whether from within or from without – accordingly, the wars and famines of our spirits and the greater world reflect back and forth like powerful mirrors). As we gain stronger and stronger footholds into this SO-healthful spirit, we can finally know what it means to say…”there is a True Love, inclusive, but so much more than, familial, friendship, and romantic love. 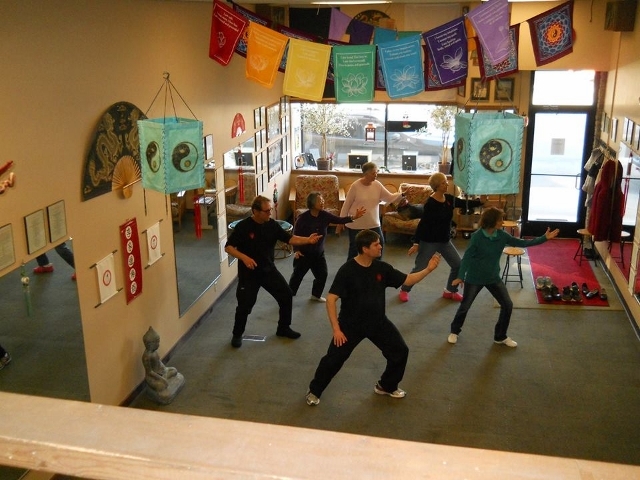 Additionally, in the ages-old chi kung traditions that I teach and practice, the Theory of Lightness sets forth the notion of lightness of being (inclusive of in stillness AND movement), and the so-beautiful notion of the ‘accumulation of light.’ This practice promotes a more and more impeccable lightness of being, a loving self-awareness/mindfulness, an accumulation of light/energy vs. reflecting it as much or (at times), if at all. Granted, off-the-cuff it sounds a bit or quite a lot from ‘left field,’ but one can’t know until one is willing (i.e., exercising of the true faith) to work for decades or a lifetime to even begin to be good at it. What (in an IDEAL sense) do love and ambition have to do with one another? Response: Quite humbly and respectfully, a big YES! As such, I believe it is so very much about mindfulness and gratitude, e.g., ‘true appreciation of the miracle of the moment’: There is a love, a ‘true love,’ inclusive of, yet well beyond familial, friendship, and romantic love…a light and bright living love of being…SO very much about living life as a living loving art form. It is a living spirit of dignity, decency, goodness, and grace, AND Acting Without Acting – endeavoring to do the right thing for the right sake, without the need for selfish recognition of hidden agendas. It is embracing the notion that we are all much more in the same common boat than we often think and act. It is embracing a deep and abiding sense of true responsibility in supporting others in their healthful goals. If there is a Heaven, if there is a key to the universe, if there is a sixth sense, they are rooted in true honesty, promoting of true happiness and true freedom…but most importantly, needing less and less to hide behind. It is in the wonderfully healthful spirit of true heath through true responsibility. Consistently (and most importantly), as our love more and more becomes the sparkling spine-tingling/shivering fuel for our thoughts and actions, it quintessentially beyond-words manifests as a ‘glimpse’ of an existence, so-to-speak, where there is no time, no space, no distance – no yesterday, no today, no tomorrow…all is known, and once again SO impeccably, ‘nothing to hide behind.’ All the ‘walls of lies’ have thus tumbled down. 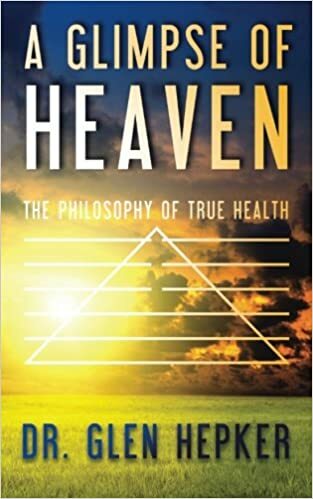 The more and more we can realize such healthful glimpses of Heaven, the more and more ‘prepared’ we might be – AND consistently, the more and more healthful conduits (between Heaven and Earth) we can be. In this tradition, it has a LOT to do with learning to (honestly) play the part of the less and less blemished Witness to our internal and external environments…inclusive of learning to witness/appreciate the resplendently magical gifts and blessings which we so often are unaware of or choose to ignore. It has a lot to with forgiveness, and it has a lot to do with alleviating ourselves of the terrible weight of (our addiction to) preset patterns of thinking, expectations, and a sense of entitlement. real and substantive true effort cannot be realized unless such action is in distinct congruence with ‘doing the right thing for the right sake,’ e.g., the right sake being without the need for selfish recognition. Herein, so-to-speak, our ‘load is lightened,’ fostering less and less stress and anxiety – making true effort possible and actually enjoyable when we realize a lightness of being, not bogged-down by selfish and/or emotional baggage …a wonderful, abundant level of healthful true self-efficacy. In looking at the issue in full circle, doing the right thing for the right sake, unto itself, when contrasted with other healthful objectives which we might attempt, is among the most difficult – requiring an amazing amount of effort. Albeit, nothing will better enforce substantive realization of comprehensive and genuine health and wellness. If we wish to take true responsibility for our own health and wellbeing, then it may be possible that we can learn to mindfully and objectively witness and make real the notion that life should be the highest of art forms: The more and more selfless one becomes in creating one’s art form, the more and more beautiful and healthful the art, the artist becomes. It is learning to ‘play the part of the perfect witness’ – to oneself and the world in which we are an integral part. It is an outlook which is unblemished and light. It is true honesty…learning to prefer to not be weighted-down by desire of recognition for one’s good work/effort. It is a significant key to unlocking the door to true health. When making healthful positive changes in one’s life, it is of great importance to be truly appreciative of the miracle of being able to do so. This is a gift made real by our own efforts and by the efforts of others. True health is being a loving witness to the process and knowing not to be afraid of the notion that there is always room for improvement. In what way is it a ‘true responsibility’ to support others? “It is likely that a great majority of us recognize the importance of displaying heartfelt support for others in their abilities and pursuits. The ‘true responsibility of supporting others’ goes a step further. Its basic principle sets forth that each one of us has no greater responsibility to ourselves, than that of being supportive toward others. To be clear, this notion does not in any way infer that we should ever be blind or codependent to what may be the silly unhealthful whims, dalliances, and/or unsound aspirations or judgments of others. It does infer that there is no greater means by which to assist ourselves or others toward substantive realization of true health/true happiness, than our support of others in their healthful choices and objectives – and most importantly, their ability to succeed therein. Such mindful and deliberate acts, when displayed in a healthful selfless spirit of dignity, decency, goodness, and grace, are in significant congruence with taking true responsibility for our own health and wellbeing. What is the recipe for happy marriage? Response: I’ve been a part-time individual/marital counselor and wellness coach for a long time. What I endeavor to assist people with, is to mindfully gather and embrace a deep and abiding sense of true appreciation, and to figure out how to healthfully avoid any sense of ‘one-upmanship’ in their relationships…avoiding an unhealthful ‘us-against-them’ type of mien. I believe it is all about learning to better and better display dignity, decency, goodness, and grace in our interactions…and figure out how to truly mean it, no matter what. This is complemented by the notion of Acting Without Acting, e.g., doing the right thing for the right sake…without the need for selfish recognition or hidden agendas; and further complemented by the Same Boat Theory, the notion that we are not so separate as we often think and act (the primary fault of humankind is the notion that you are there and I am here); lastly, it is about the true responsibility of supporting others in their healthful goals. These are among the central tenets of the tradition of ‘true health,’ set forth in my book. How important is forgiveness with regard to our health and wellbeing? “What healthful changes would you like to make in your life? What changes would you like to see in the broader world – changes which would make it a more healthful, safer, and better place overall? The problems which we have as individuals are often reflected to and from the broader world. The means by which each of us can make our world a better place is most often accomplished by promoting healthful change within ourselves; a more and more healthful way-of-life manifests a healthful model for others. Once again, this is our true responsibility, and obviously, it is not an easy thing: It requires true effort to make such changes and sustain them. Ghandi made a striking point which can be applied succinctly to the notion of making such healthful changes: “Be the change you wish to see in the world.” His simple statement speaks profoundly . Some problems can obviously seem overwhelming and may be inherently fixed to our level of maturity – individually and as a species. The great psychoanalyst Carl Jung, spoke eloquently to this point: “The greatest and most important problems of life are all in a certain sense insoluble…they can never be solved, but only outgrown.” Congruently, and according to the traditions of the health and wellness arts which I teach and coach, no serious illness can be cured – the problem of any bad habit, weakness, or tendency cannot be absolutely solved or eliminated. Such can ONLY be healed and/or made unattractive or unnecessary – though it will always be a part of our make-up, even if it is not outwardly viewable or manifested. This ‘outgrowing’ or ‘growing-up’ necessitates true effort toward educating ourselves about the nuances of health and wellness and ever-evolving critical thinking skills. Such ongoing development is what growing-up is all about. Probably the most painful and arduous aspect of true effort is the notion of true forgiveness. It is inclusive of forgiveness of ourselves and forgiveness of others: In actuality the two often reflect upon one another and/or are one-in-the-same. In learning to witness this issue in a clear and unblemished fashion, we may realize a sense of true compassion – gathering significant insight into the notion that we are all in the same boat: Hence, the ‘same boat theory,’ e.g., the primary fault of mankind is the notion that you are there and I am here. How different would the world be if we viewed complaining and blaming as diseases? Does taking true responsibility for our own health and well-being necessitate giving up the habits of blaming and complaining, or is it possible to have one’s proverbial ‘cake and eat it too?’ What do you think? It seems quite obvious that in a great majority of instances, genuine health and well-being is not inclusive of complaining and blaming – yet they are among the most common dynamics in our interaction, and likely in our thinking. Through our upbringing, we are often ‘trained’ in that it is normal to complain, to blame others…or something in some way. It may be possible that we can learn to mindfully and objectively witness and make real the notion that life should be the highest of art forms: The more and more selfless one becomes in creating one’s art form, the more and more beautiful and healthful the art, the artist becomes. It is difficult to believe that such a healthful outlook, way of life would be inclusive of the pernicious weight of complaint and blame: The more and more that we learn to mindfully Witness the quality by which we play our role here in this stage-setting, e.g., our life here on this earth, it is possible that we will be able to take more and more responsibility for our health and well-being. It is requisite of playing our parts more and more honestly and altruistically – in the loving spirit of doing the right thing for the right selfless sake. It can become more and more about acting in the ‘greatest good,’ and recognizing what may be our highest calling…our ‘true responsibility’ each and ever day(!) of making the world a better place – more and more and more as a way of life. Such a way of being may require significant effort – significant levels of mindfulness and objective insight (and manifesting these as genuine skills). Albeit, the most splendid of blessings may be realized in the actual act of doing, most especially a deeply benevolent spirit of quintessential appreciation/gratitude. Such healthful action, such healthful true responsibility might provoke living loving sparkling spine-tingling/shivering ‘glimpses of Heaven’…which are most certainly NOT inclusive of blaming or complaining. How important is this level of true appreciation? Such a light, bright, and shining spirit of being may be WHOLLY consistent with true honesty, promoting of true happiness and true freedom…but most importantly, needing nothing to hide behind. It is ‘back to the garden,’ of true health.